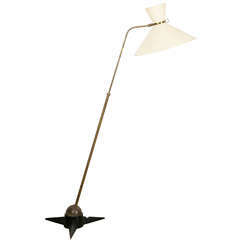 Fantastic floor lamps by Robert Mathieu, the brass stem anchors into a ball that rotates in a cast iron star shaped base. New wiring and shade, all original patina on metal. Price is for one. 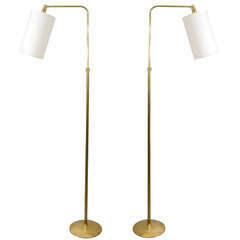 Pair of reading lamps in brass with paper shades. Handmade brass artisanal stork. 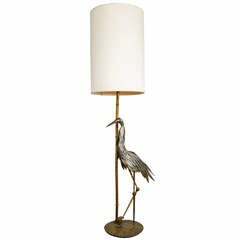 The feathers are crafted one by one standing on a brass base and bamboo detailed lamp. 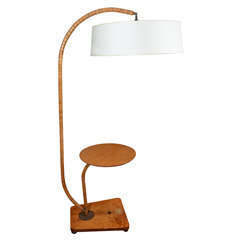 Italian floor lamp with cylindrical mahogany stem carved with channels. 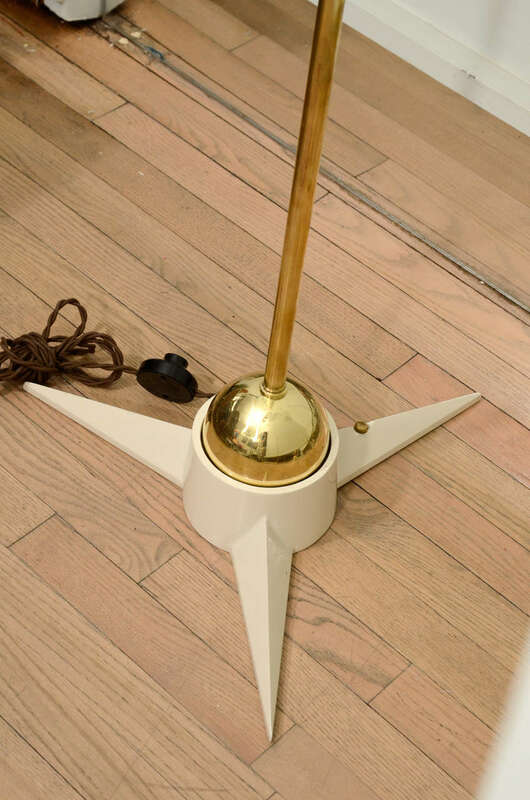 Beautiful brass legs with crystal sphere accent and paper shade, diameter: 18". 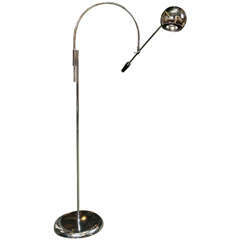 One of a kind reading lamp with a shelf. Each bamboo piece is an individually carved wood piece, the head swivels side to side. 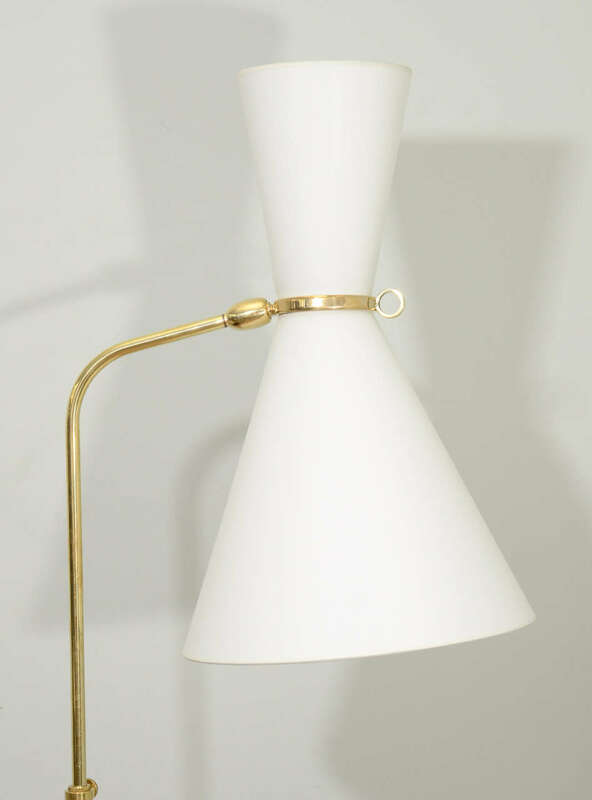 Tri-color floor lamp with three lights and mesh shields by Mathieu Matégot, 1950s. 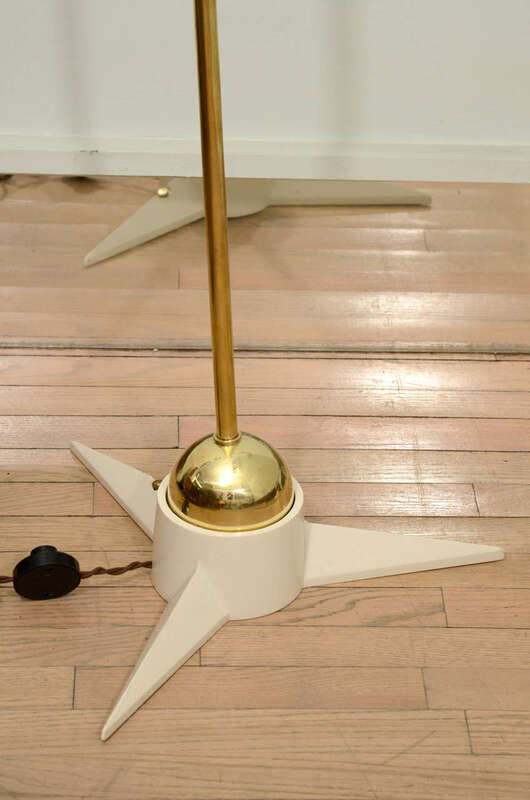 Floor lamp made of enameled tubular steel by Robert Mathieu's. 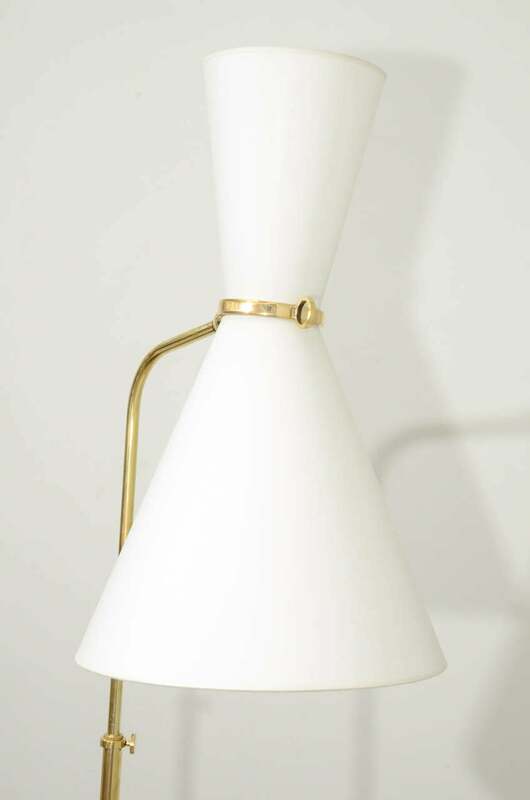 Mathieu used a counterbalance design and a 46 cm wide articulating plastic shade with a convex circular diffuser. 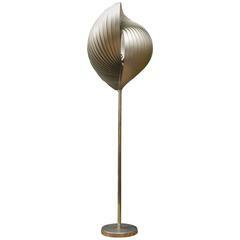 O/6162, modern floor lamp Bonnieux, collection Luberon. 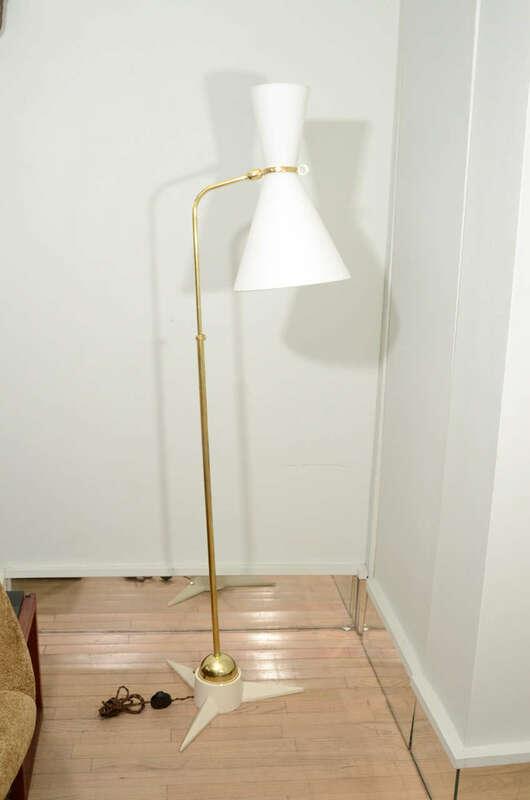 Rare Mathieu edition adjustable table lamp. 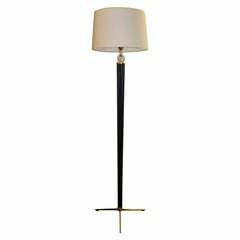 Robert Sonneman double counterbalance floor lamp with articulating shades. 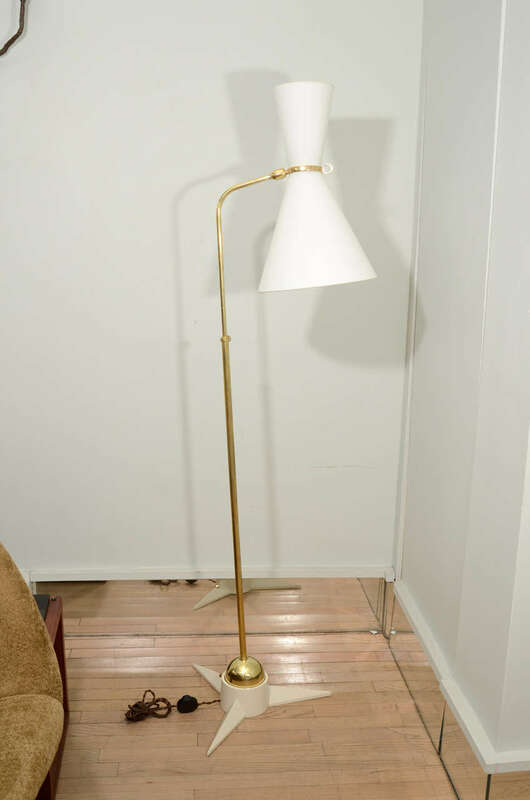 A Robert Sonneman Orbiter floor lamp, signed. This is a larger version constructed of chrome-plated steel.